Founded in 2012 by a team of engineers and designers from the MIT Media Lab, Formlabs made history when it launched a record-breaking $3M Kickstarter campaign. 3D Systems said it would challenge an arbitrator’s decision that it must pay $11.2 million to a co-founder of a company it acquired. Avi Reichental, who as been at the helm of 3D Systems for over a decade, has stepped down from his position as CEO. 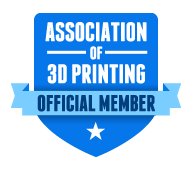 When you invest in the Association of 3D Printing and 3D Printing Ventures at the highest levels, you are investing in a vision for the future of 3D Printing, a vision you help create.